This time of year, more than any other, cardboard waste poses a problem for retailers as a seasonal boost in trade creates high volumes of waste packaging. 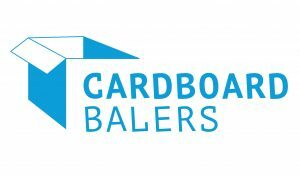 Many companies would benefit from having a cardboard baler which compacts card packaging into a easy to handle bale which is attractive to recycling companies. By placing card waste into a cardboard baler, a retailer or hospitality business can gain operational and commercial benefits. Traditional handling of cardboard often is inefficient and has a high labour cost. Staff handle the card several times and often have to break it down before placing it in a skip or bin. If it isn’t broken down, the voluminous nature of card waste means that the skip quickly gets full of fresh air. If the boxes are placed directly into a cardboard baler, the staff handle it once and don’t need to walk outside to a skip or recycling bin. 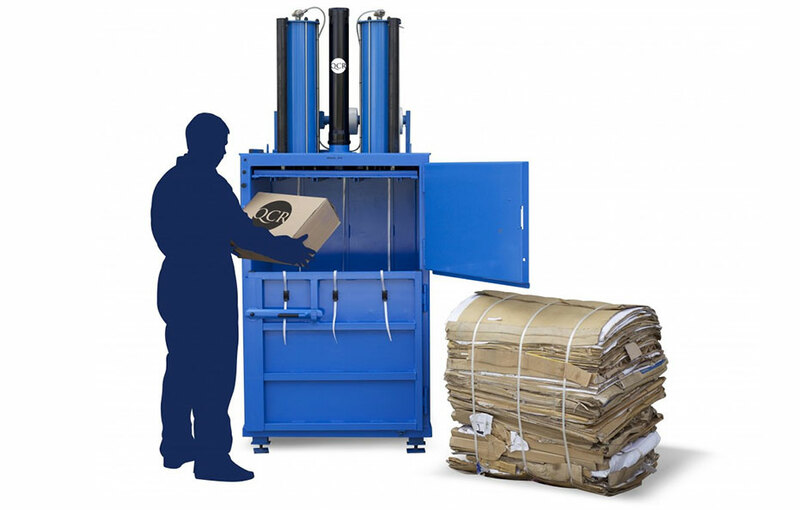 The cardboard baler will reduce the volume of card waste by around 90%. Fewer trips outside mean that the warehouse area is more secure and energy is saved by keeping warm air in the building. The commercial benefits of using a cardboard baler are straightforward; skips and bins are expensive and by baling card and having the bales collected for recycling can mean a reduction of over 80% in disposal costs. As well as the high costs, these containers also take up valuable exterior space, space which could be used for staff or customer parking. 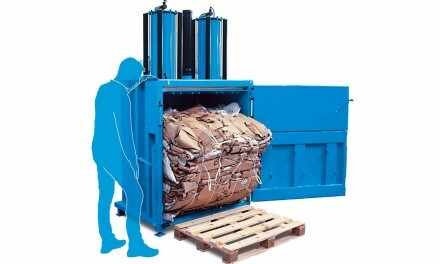 Cardboard balers are usually powered by air (pneumatic balers) or hydraulic. Pneumatic cardboard baler use compressed air to compact the card or plastic and are particularly useful where a business has a compressed air main line already in place. The baler can be plugged directly into the air line and can be moved around to be nearer the source of the waste as production dictates. 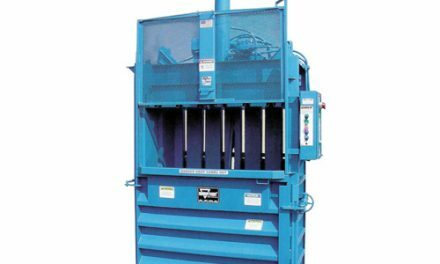 Hydraulic balers tend to produce a greater pressure and are usually the preferred choice when volumes are larger. A mill-size bale from a hydraulic baler is the most valuable form of baled cardboard. Weighing up to 700kgs, these bales need to be tied with wire to make them completely safe to lift and handle and are really only applicable to business with a tonne of card per week. Smaller balers produce bales which can be hand tied with banding. Businesses should always ensure that the banding they use has a suitable strength rating for the weight of bales they are producing. Please remember to share in you have found any of this information beneficial!